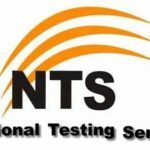 Rescue 1122 (Physcial Test) Candidate List Roll no Slip Nts Test Dates : Saturday, 16th & Sunday, 17th December 2017.If you do not receive your Roll No. Slip till 15th December 2017. Get a printout of your information displaying on this page and contact NTS Help Desk along with Original CNIC at your Reporting time. You will be issued provisional Roll No. Slip at the test center. NOTE: The selected candidates are further directed to bring necessary items like joggers, cloths, bedding etc. Students can also get the print of the roll number slips. Students can select the print option and press the (ctrl+p) and get the print of the Rescue 1122 (Physcial Test) roll number slip.